As the daughter of director, Kelly Fellers, Kennedy has literally grown up at SVAD. It has been a joy to witness her natural love of dance, her consistent classroom discipline, her technical and choreographic growth, and her personal passion for dance! Kennedy, in her desire to continue the legacy and commitment to our vision, quickly found herself on the path of teaching. Her genuine affection for our young dancers, and her authentic desire to inspire the next generation, has proven Kennedy to be a natural fit as a SVAD student instructor. You need only spend a moment watching her with her young dance students to witness the shared affections between teacher and student. Kennedy’s soft, yet clear, guidance, and her natural understanding for maintaining the balance between discipline and joy, allows her students to develop their technique, improve upon the skills necessary to find their own successes, and their love of dance! 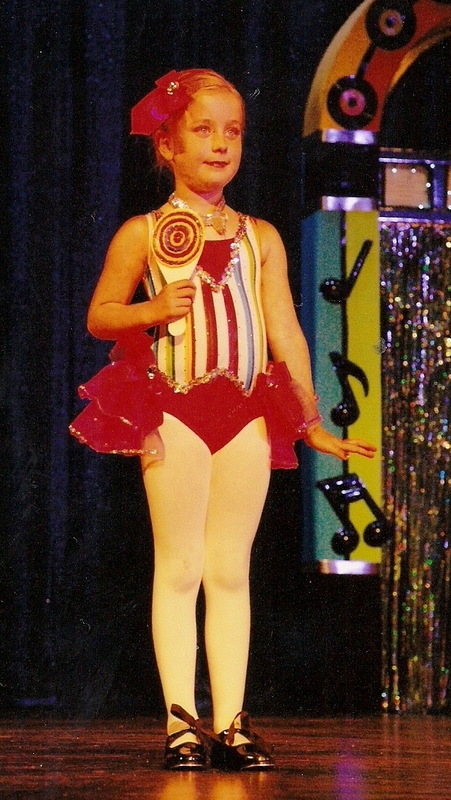 I’ve been dancing ever since I was two years old. I’m so thankful that my mom put me into dance at such a young age because I don’t know where I would be without it. SVAD is another home for me. I’ve danced in 6 recitals, 8 Nutcrackers, and I’ve been in Dansations for 8 years. Throughout all my years of dancing and all the productions I’ve been in I’ve developed many skills that aren’t only helpful in the dance world. I’ve learned how to work with others, pay attention to details, practice makes perfect, be the best you and never give up. Not only has dance made me a better dancer but it's also made me a better person. I became a dance assistant when I was about 11 years old. That means I’ve been assisting for about 5 years. The class I started to assist when I was 11 was Kinderdance and that’s when I realized I loved to work with younger kids. But I’ve also substituted for other ages of classes such as Intermediate 4-5, Beginning 6-8, Beginning 9 plus and Pre-Pointe. This year I was asked to teach and I happily said yes. I’m so thankful that SVAD has provided me with so many opportunities to grow more as a dancer and as a person. This year I will be teaching beginning 6-8 and I’m so excited to watch my new students grow as dancers and I hope to be a role model they can look up to. I’m so thankful that SVAD has provided me with numerous friendships, many amazing teachers, the opportunity to be a teacher myself, skills that will be helpful for the rest of my life and giving me a second home. SVAD will always be a part of my life whether I pursue a career in dancing or not. Dancing isn’t only physically beautiful but emotionally it allows the dancer to express whatever they’re feeling. Whether it’s a happy, sad, hopeful, sassy or flirty dance, I know that the ability to vent my emotions through dance has helped me a lot. All the skills I’ve learned in dance such as working with others, paying attention to details, practicing makes perfect, be the best you and to never give up will all help me with my future career. Even though dance might not be something I do in my future the skills I’ve gotten from being a dancer can help me with anything I decide to do.